With a name like mine, you know you can trust me when I tell you this dessert is not only Christmasy, but it's delectable! 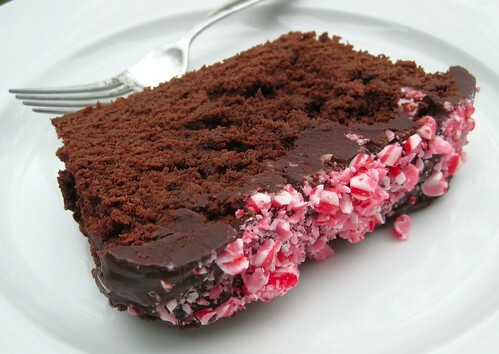 With a smooth buttermilk cake batter, topped with a chocolate gananche and then sprinkled with crushed candy cane pieces and dust, this might be the best thing you taste this season. It's comfort food time. It's cold out. The holidays are almost here. 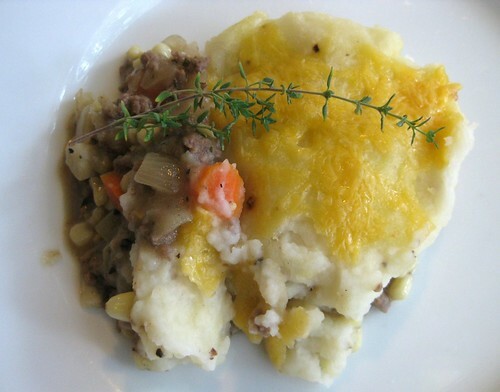 And while I could post recipes of reindeer sausage or a Kingly dessert of sorts, I'm going with Shepherd's pie. This is one of those dishes that mom would make for dad to say "I love you." We felt the love eating it too. There are so many ways to make Shepherd's pie. This is my version. 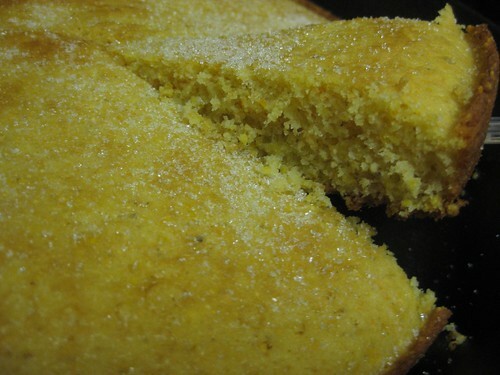 Simple, bold, flavorful. And while many versions include ground lamb (yummy), Shepherd's care for and guard their sheep. They eat beef for dinner. Wouldn't want to offend their fluffy friends. Hash House A Go Go. Don't knock a restaurant just cause it has five words in the name. They coined their style "twisted farm food." 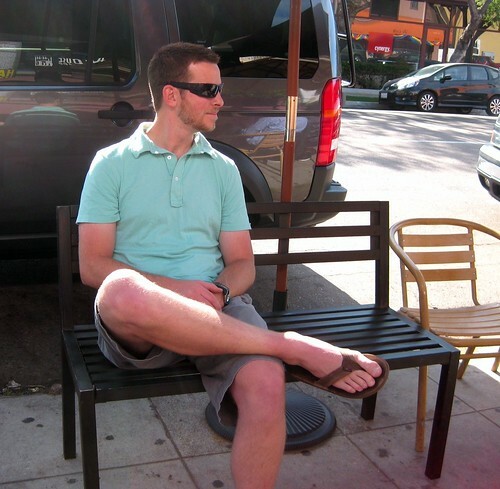 It doesn't get any cooler than that in San Diego, CA. Obviously visiting in July, Chris decided to sport his Rainbows, feeling right at home in his old college stomping grounds. We love this city. 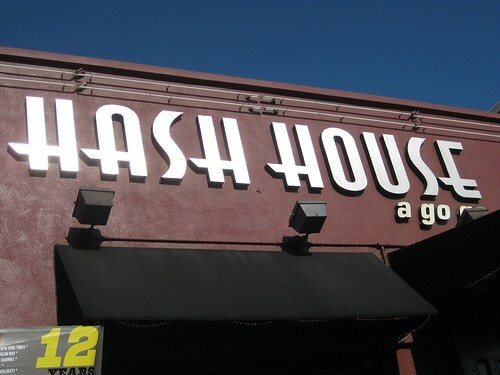 When Chris and I first started dating, I would drive down from LA on a Saturday morning and we would start our day with a breakfast date (still my favorite kind) to Hash House A Go Go. When visiting this summer, we just had to go back for old times sake. It's still busier than ever, and for good reason. Always plan on a line. It's so worth the wait though, so don't get discouraged. Stick it out. We got our first frost last night. Sounds silly, but it's a big deal down here in Suburban Roseville. You know everyone will be all bundled as they hit the malls this afternoon, crossing more Christmas items off their lists. 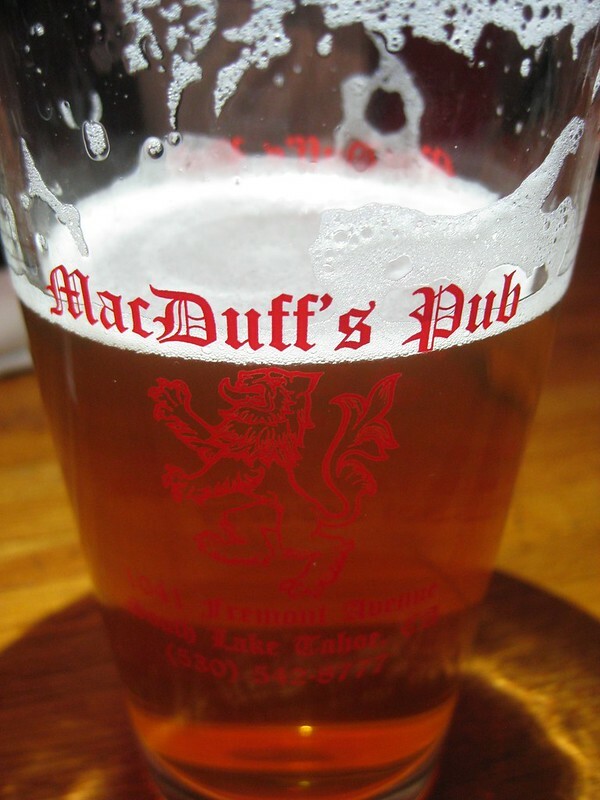 In case this frosty weather is enticing you up to Tahoe for a ski at Heavenly, you might want to stop in (or end the day at) MacDuff's Public House. That last one was important to me. Dining is not just about the food, it's about the experience. Do you have a cast iron skillet? I've had one for about a year. We joke that it was probably one of the biggest days in 2012 for us (before all the baby excitement, that is). In one crazy post-Christmas shopping day experience, I purchased my beloved Le Creuset (big red pot that makes its appearance in about every other post), my "apple child" (iPad) and we threw a cast iron pan in the mix just for fun. Good things come in threes, right? The cast iron skillet: easy to clean, even heat distribution, provides great sears and can be used for just about anything. It's a contender for making it into the new born shots when baby Ritter is born. Okay, I'm kidding... well maybe not. But you can see how much I love it. 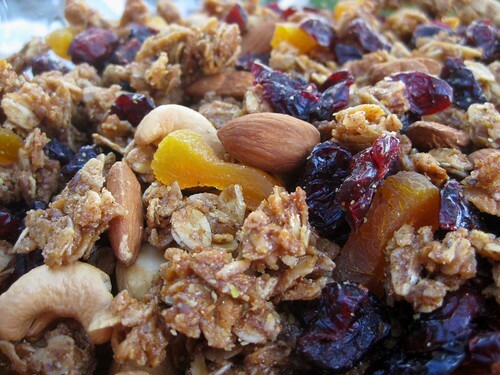 What do you think of when I say "granola?" Do you think of that Quaker Oats stuff? Do you think of a walk of life a little bit more, (how should we put it? ), "natural and one with the earth" than yourself? My earliest memory was of the granola my mother would buy. I would spend precious minutes in the morning picking out the raisins from my mix. You'd think I'd just find another cereal, but I really loved the oats part. Somewhere along the way I OD'd on those little red boxes of raisins as a kid... and thus the scavenging to "fix" my bowl of cereal.